The Seminar in progress at Tissamaharama. 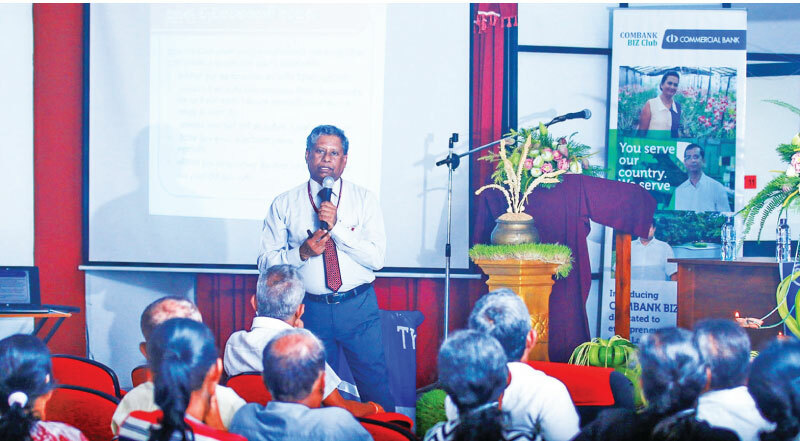 A Financial Literacy Program for paddy farmers in the Tissamaharama area was conducted recently by the Commercial Bank of Ceylon in collaboration with the Central Bank of Sri Lanka. 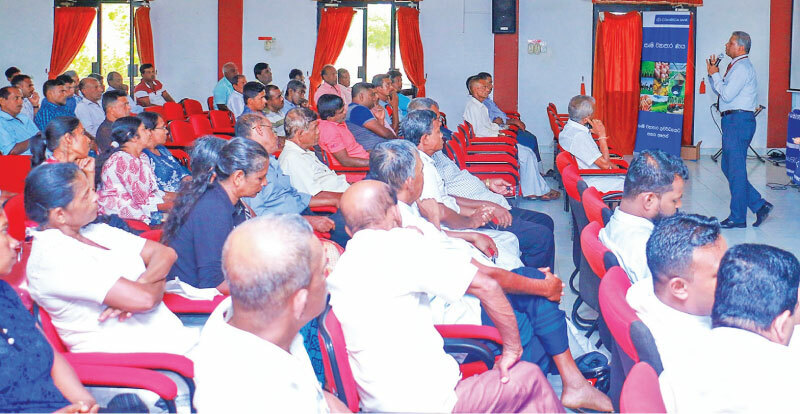 A group of 120 Paddy Farmers in and around Tissamaharama participated in this program, the seventh such financial literacy program conducted by the bank for micro and agriculture related entrepreneurs this year. The bank’s objective in conducting these programs is to help these entrepreneurs develop their businesses through enhanced levels of financial literacy. The resource person for the program was the Senior Assistant Director of the Central Bank of Sri Lanka Sarath Ekanayaka, an experienced speaker on financial literacy and business development. The program was held at the Divisional Secretariat Office, Tissamaharama, andwas attended by the Assistant Divisional Secretary Tissamaharama Saman Premalal, the Senior Manager of Commercial Bank’s Development Credit Department Mohan Fernando, the Bank’s Tissamaharama Branch Manager Januka Gunawardana, and other officials ofthe Bank. Commercial Bank has been conducting awareness programs for micro entrepreneurs in different sectors of business in many areas of the country. These programs are supported by the bank’s 16 Agriculture and Micro Finance Units which play a key role in helping the Bank to identify specific needs of entrepreneurs, who require assistance to develop either their agriculture activities or micro businesses. The units are dedicated to promote agriculture lending and micro finance. Commercial Bank’s agriculture and Micro Finance Units are located in Ratnapura, Narammala, Kandy, Anuradhapura, Kilinochchi, Bandarawela, Wellawaya, Hingurakgoda, Galewela, Achchuveli, Vavuniya, Kattankudy, Tissamaharama, Neluwa, Pottuvil and Akkaraipattu.